Margaret Ville @Commonwealth & Queenstown MRT. 1BR from $8xx K Only! Get The Latest Official Info for Here including Price, Floor Plan & Ebrochure . WhatsApp Us Now To Claim while The Quota still Available. Margaret Ville is in the district of Queenstown (D03), which, in the Urban Redevelopment Authority’s (URA) district plan, is considered the Central Region of Singapore. As such, it had received the attention of the government since its inception in the 1950s, first by the post-WWII Singapore Improvement Trust’s (SIT), then by the Housing Development Board (HDB) in the 1960s. Designated as Singapore’s first satellite town in 1953, it had undergone a few major redevelopments, notably in the 1960s, 1990s and in the early 2000s. 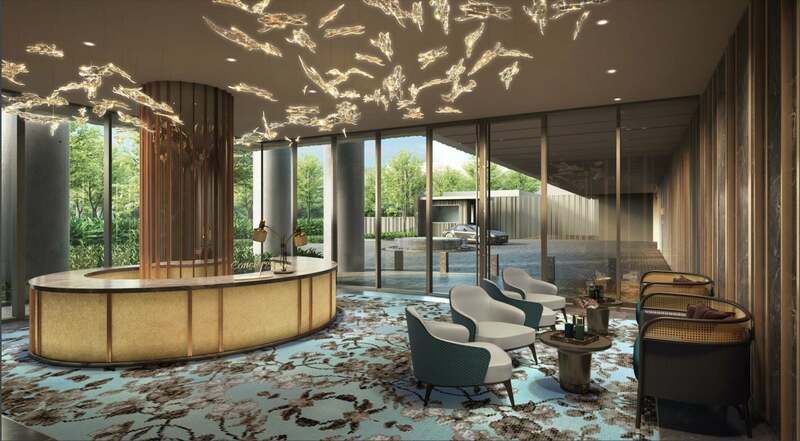 Today, it is a mature estate that is well-supported by facilities and transportation networks that connects its residents to other important and popular regions of Singapore such as the sub-regional centre Buona Vista, Holland Village and Pasir Panjang. 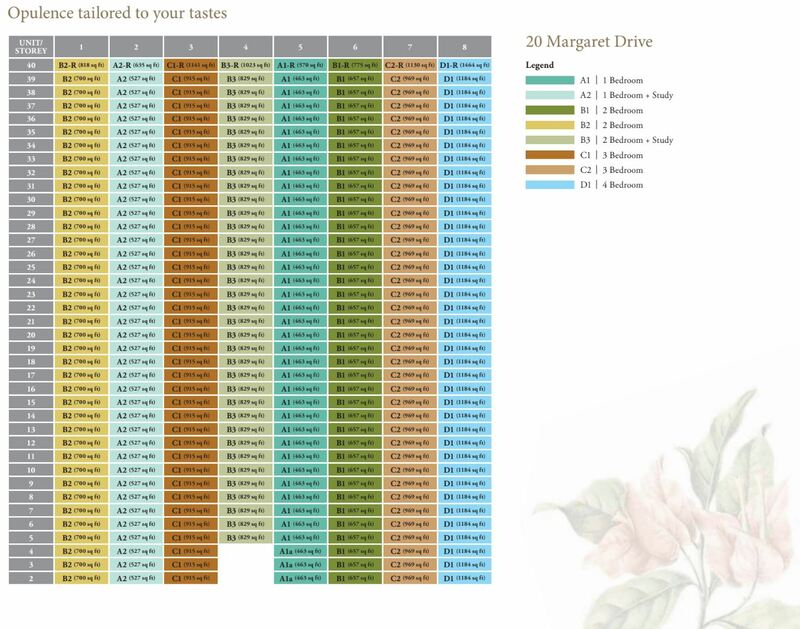 With this, Margaret Ville stands much to gain from the deep and rich history of this estate. 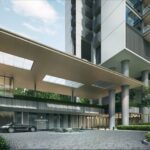 Riding on the extensive infrastructure of Queenstown, Margaret Ville condo is well-served by two major roads, Commonwealth Avenue and Queensway Underpass. 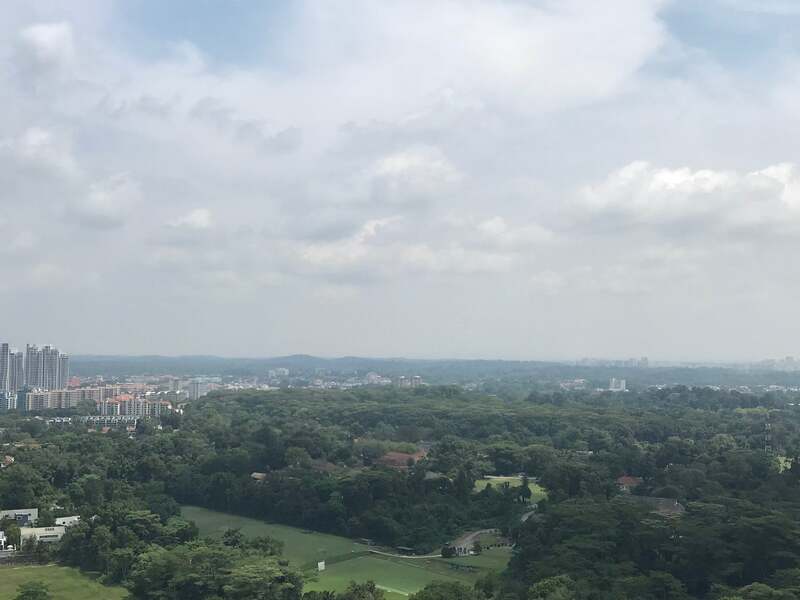 Sitting on the plot of land next to Queensway Secondary School, Margaret Ville is conveniently connected to other parts of Singapore including Buona Vista, One-North, Alexandra, Holland Village and Pasir Panjang. Especially with the gazetting of the URA Master Plan 2014, the appeal of Margaret Ville in this mature housing estate looks to remain highly positive. In 2016, the Margaret Ville site was bought by MCL Land (Regency) at $997.85 per square foot per plot ratio (psf ppr). This was 14.5% higher than the nearby Queens Peak that is currently being built, which cost $871 psf ppr. 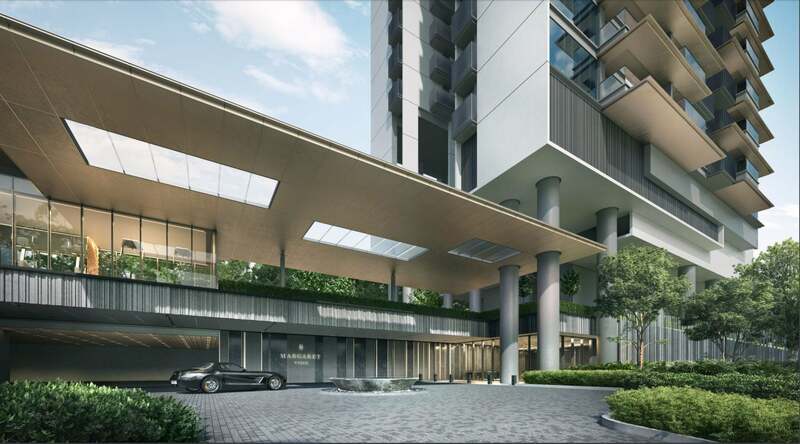 Another common comparison is with another nearby site, Commonwealth Towers, which cost $883 psf ppr. 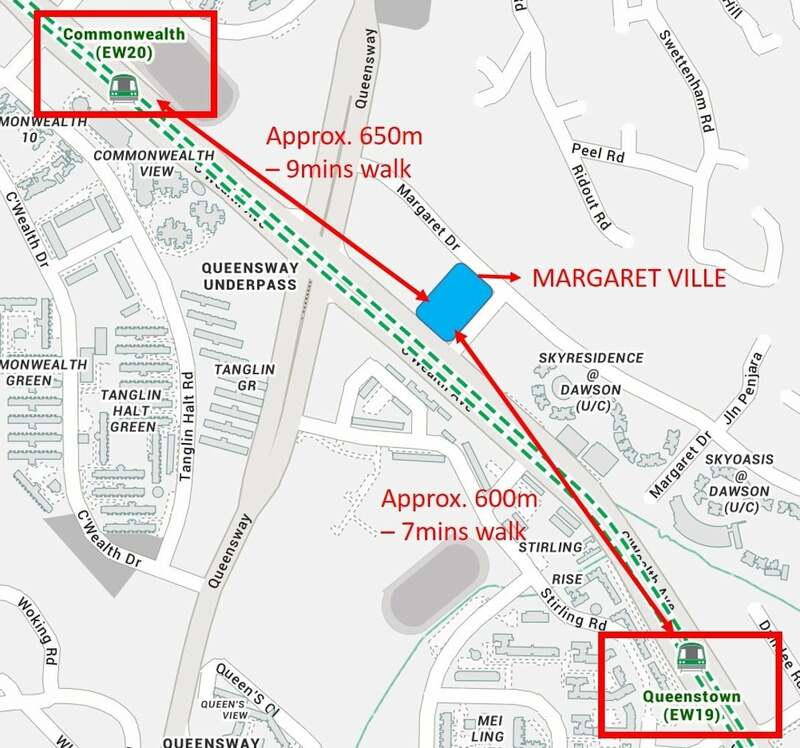 Many have discussed Margaret Ville in comparison to Queens Peak and Commonwealth Towers. Margaret Ville seems to have a better advantage both in terms of scale, location and exclusivity. 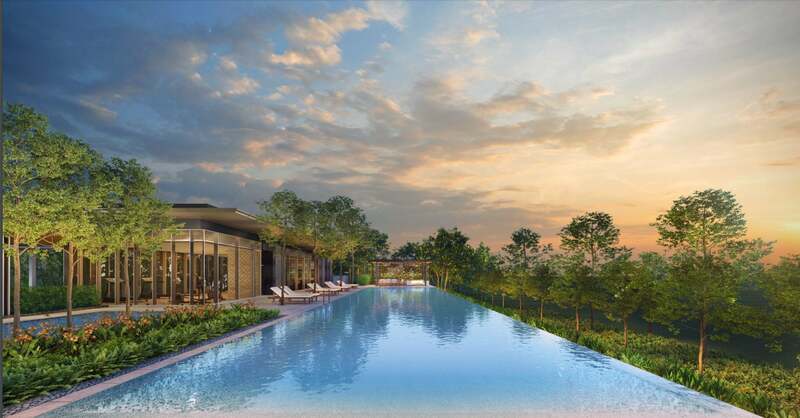 MCL Land Limited builds residential properties in Singapore and Malaysia. Its projects include homes and retail properties. MCL Land Limited was formerly known as Malayan Credit Limited and changed its name to MCL Land Limited in 1997. The company was incorporated in 1963 and is based in Singapore. As of February 17, 2006, MCL Land Limited operates as a subsidiary of HKL (MCL) Pte. Ltd. The Company is a leading property group with experience in building homes and offices in Singapore and Malaysia. 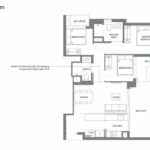 The Group has an extensive portfolio of prime residential and commercial properties and is active in the development of residential property for sale. MCL Land Ltd has a long track record of building quality homes and offices in Singapore and Malaysia over the last 30 years. The Group has an extensive portfolio of prime residential properties in Singapore and Malaysia, which are held. Surrounded by Great Shopping Malls – Ikea, The Star Vista, Orchard shopping belt, Vivocity, Tiong Bahru Plaza, Great World City etc. 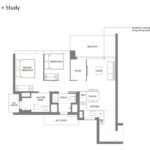 Close proximity to Renowned Schools – National University of Singapore (NUS), Tanglin Trust School, Crescent Girls’ School, Anglo Chinese School (International) etc. 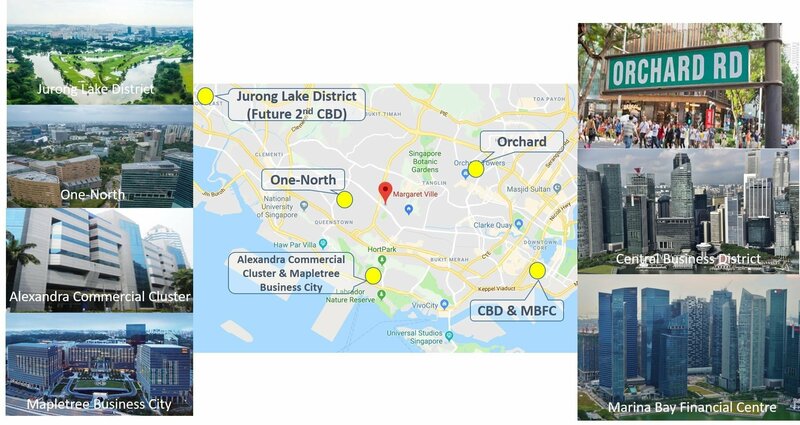 High Rental Demand – Surrounded by offices such as One North, Central Business District (CBD), Mapletree Business City, Science Park, National University Hospital (NUH) etc. 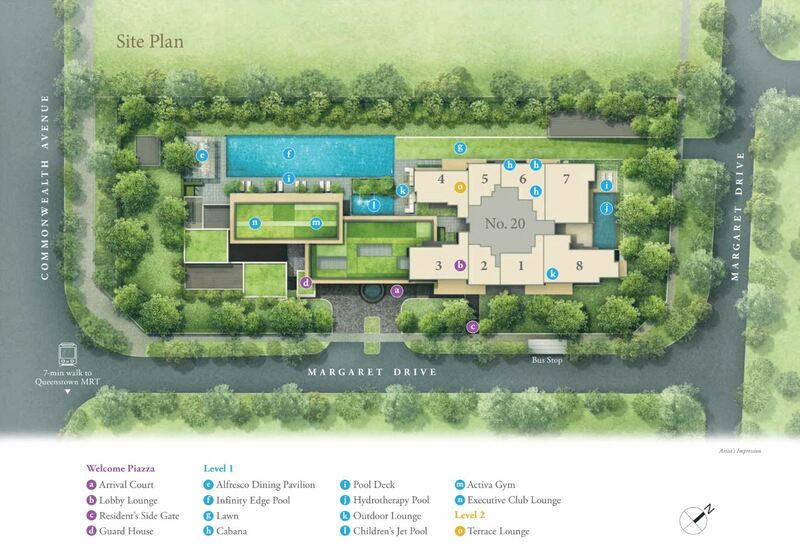 Residents of Margaret Ville will find that ordinary day-to-day living is a convenience. From obtaining groceries to daily eats and medical care, they are all within convenient reach. There is a total of three supermarkets within walking distance from Margaret Ville condo. These include NTUC Fairprice at Stirling Road, NTUCH Fairprice at Dawson estate and Sheng Shiong Hypermarket at Tanglin Halt. Shopping areas include Anchor Point Shopping Centre, Ikea @ Alexandra, Holland Road Shopping Centre, Queensway Shopping Centre, Alexandra Central and Dawson Place. This condo’s location is also highly suitable for families with children. There is a number of schools in the vicinity. Primary – Within the 2 km radius of Margaret Ville are Queenstown Primary School (approx. 800 m) and CHIJ Primary School (Kellock) (approx. 1.3 km). Alternatively, Tanglin Trust School, located at Portsdown road, is about a 10-minute drive. 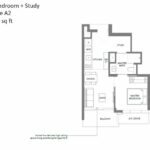 Secondary – Nearby options for this include Queensway Secondary School (approx. 800 m) and Crescent Girls’ School (approx 1.3 km). 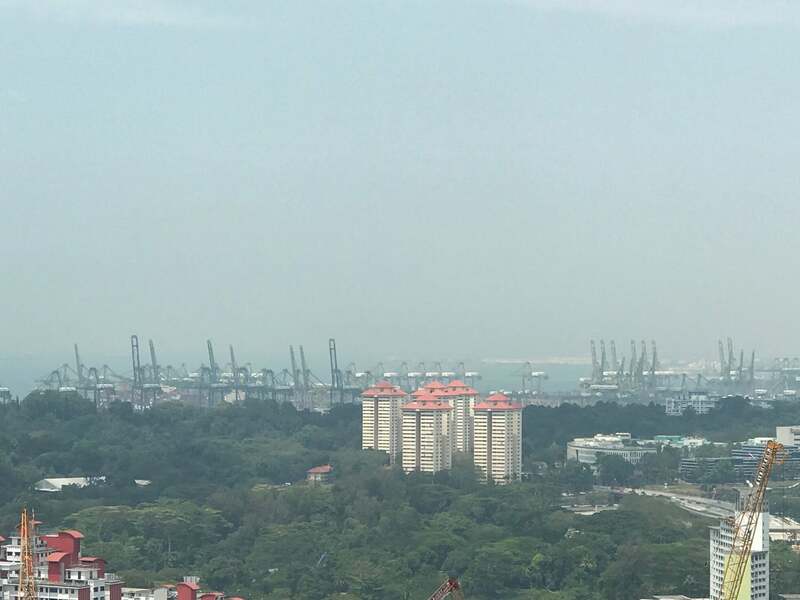 Alternatively, in under a 10-minute drive include schools such as Anglo-Chinese School (International), Bukit Merah Secondary School and New Town Secondary School. Junior Colleges – Anglo-Chinese Junior College is a 7-minute drive. Higher institutions – MIDS UniCampus just across at Stirling Road. It is about 1.1 km away by foot. Within a ten-minute drive also include Singapore Polytechnic, National University of Singapore (NUS) and Singapore Institute of Technology (SIT). 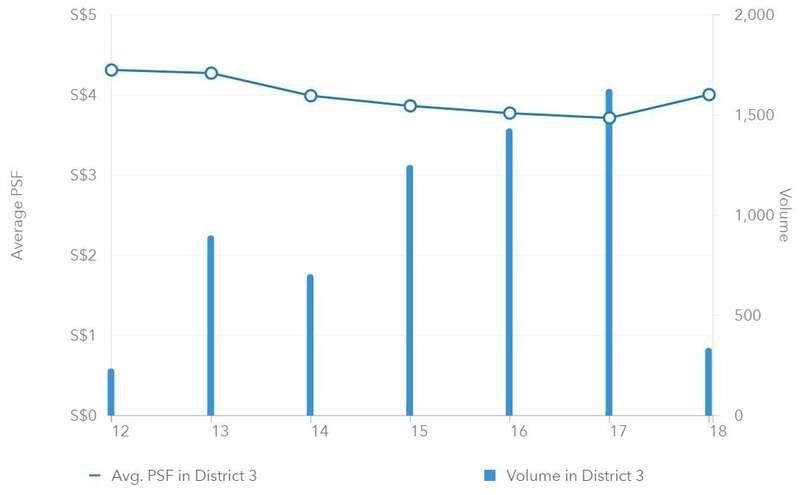 Over the last 10 years, District 3 average psf has increased by 83.91% and the increase is more than the national average psf increase of 69.6%. 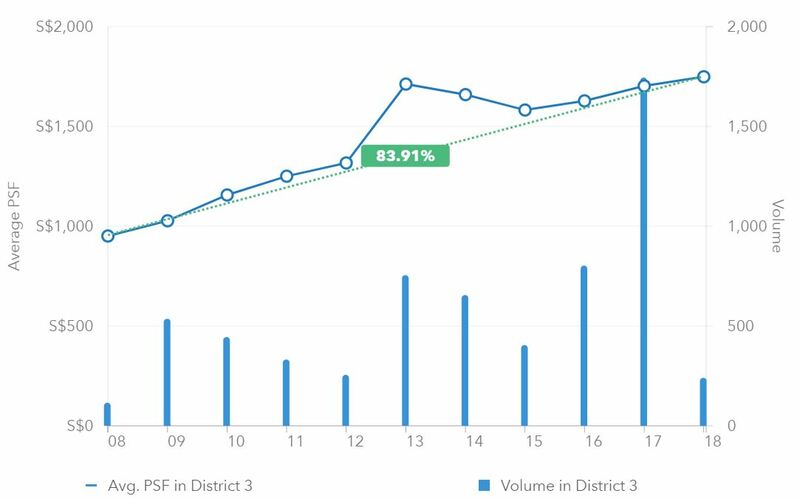 There is a dip from 2013 to 2015, and is mainly due to the government’s introduction of cooling measures such as Additional Buyer’s Stamp Duty (ABSD) and Total Debt Servicing Ratio (TDSR) in 2013 which affected the property market as a whole. 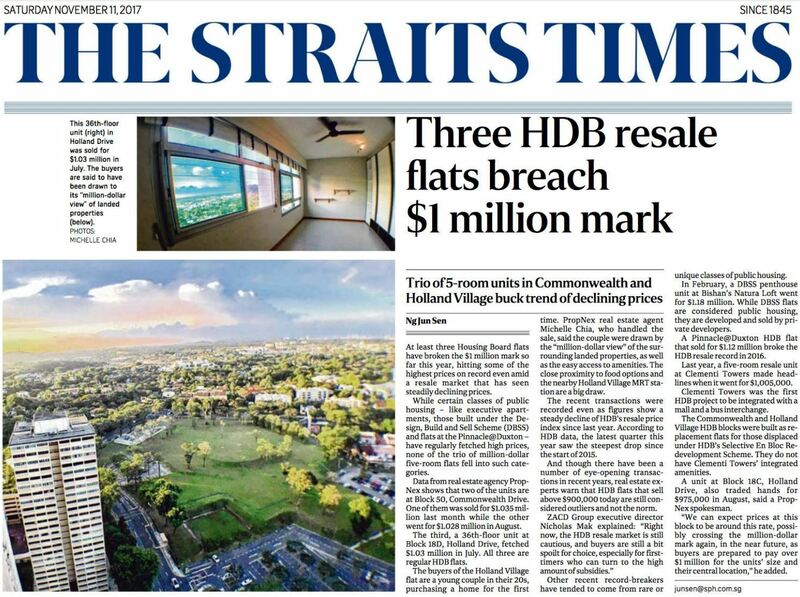 Moreover, more and more HDB in District 3 are breaching the $1million mark as seen in the article reported below.